The SHOPPERS LOVE. YOU. Run for Women is back in Kelowna on May 12, 2019 in support of women’s mental health initiative in our community. The SHOPPERS LOVE. YOU. Run for Women is a 5K Run/Walk, 10K Run and Little Steps 1K taking place in 17 cities across Canada. Every dollar raised supports mothers, daughters and friends to take that next step to recovery. 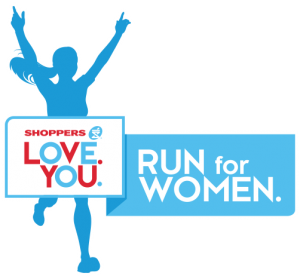 The Women’s Wellness Programs at CMHA Kelowna is funded by proceeds raised by the SHOPPERS LOVE. YOU. Run for Women. The programs support the mental health of hundreds of women each year by helping them learn and improve themselves both physically and mentally.